Written by Joe Durwin. 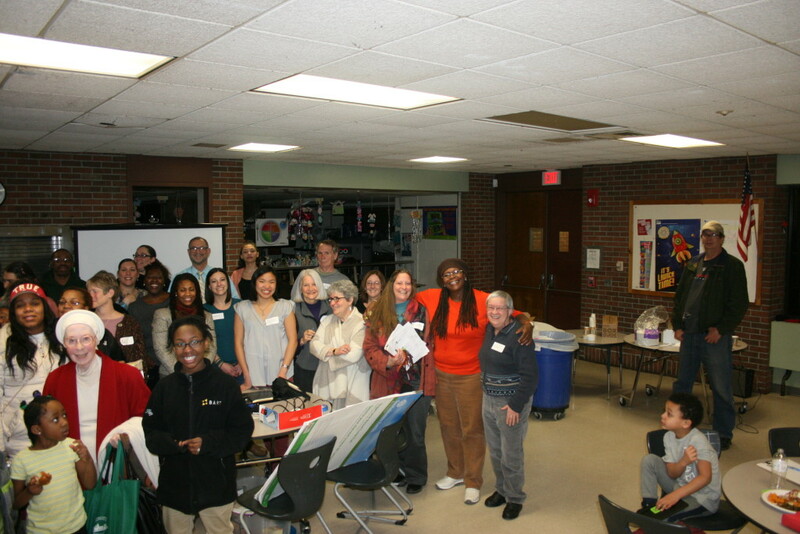 Article and photos originally published on iBerkshires. PITTSFIELD, Mass. 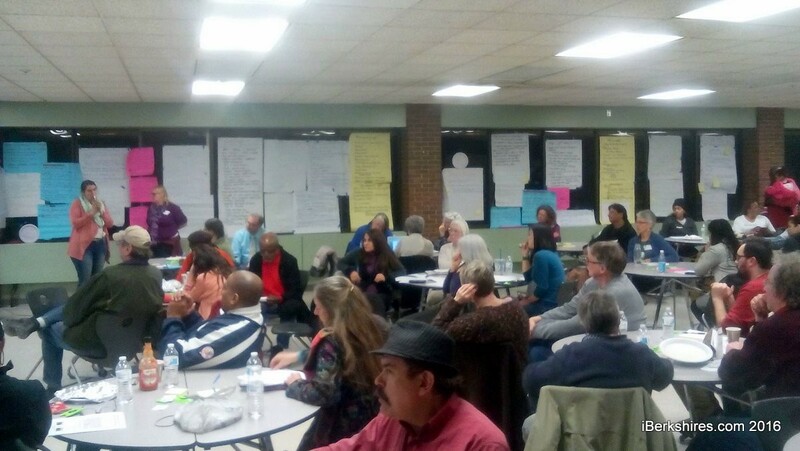 — Input from hundreds of local residents collected over a three-month period will help inform a coalition effort to obtain grant funding that proponents say will help to address many of the poverty-related issues impacting the community. 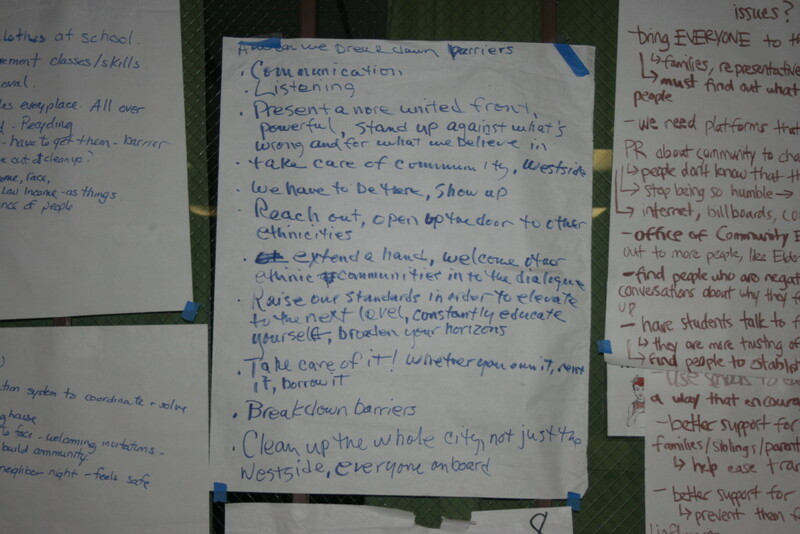 During a summary meeting held at Conte Community School on Monday, members of the Working Cities group outlined what they’ve heard through a process that has spanned 11 meetings and included more than 200 residents, and how it will help position the city competitively for aid through the commonwealth’s Working Cities Challenge. Introduced in 2013, the Working Cities Challenge leverages state funds with those from the private sector, and local and national philanthropic organizations to address issues impacting low-income communities. 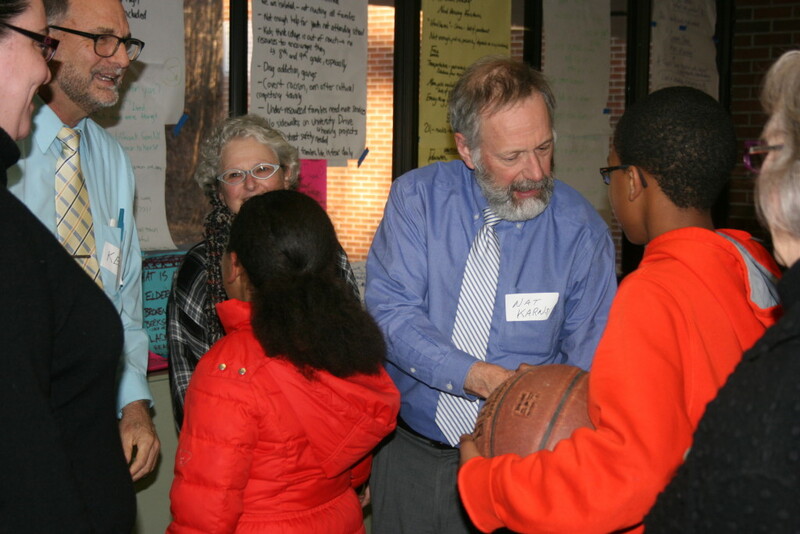 In October, Pittsfield was one of 10 cities awarded with $15,000 to develop the “collaborative team” and further grant applications for a multiyear allocation of $475,000 to fight poverty-related problems. 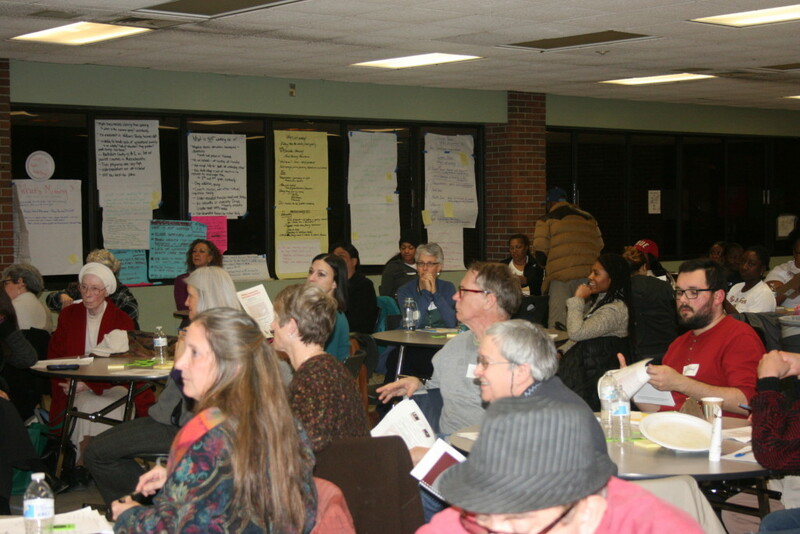 Since January, “Working Cities” meetings have been held at a range of locations, including the Berkshire Athenaeum, Brien Center, First United Methodist Church, the Christian Center, the Senior Center, Ministerio Cristo Puede, the Gladys Brigham Center and several local schools, discussing areas of strength and weaknesses on issues such as crime, jobs, transportation, youth, diversity, and education. 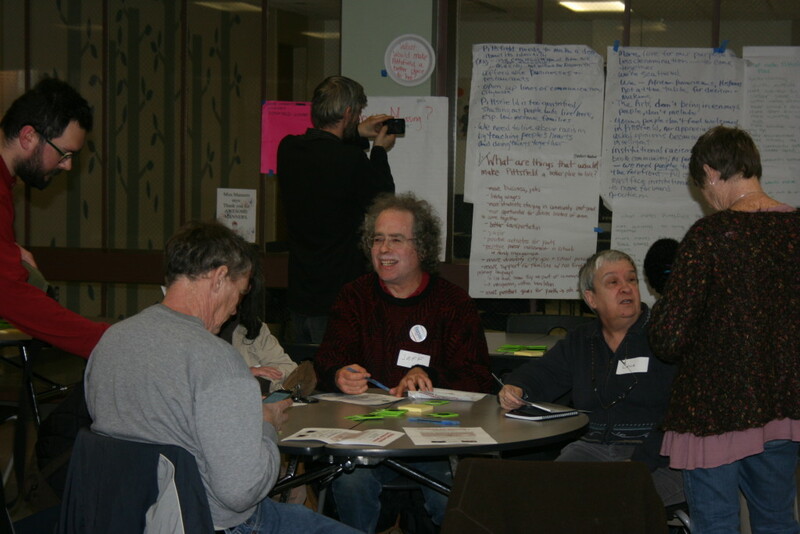 Information from these “community conversation” sessions will be used to inform the specifics of the group’s application to the Working Cities program, due in May. Pittsfield is in competition with nine other “Gateway Cities” in the commonwealth for funding. “Already, we’re unique in that we’re turning to the residents first, and involving them at the table now,” Eigbrett told iBerkshires. 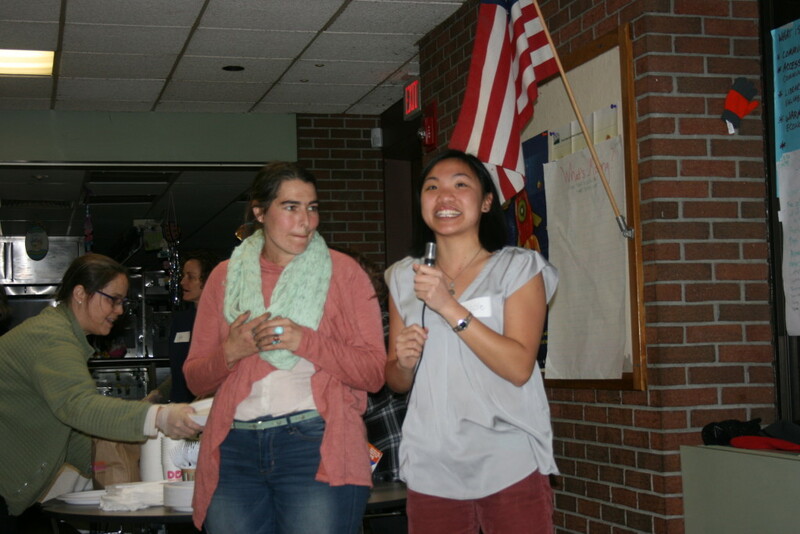 A total of 269 attendees have participated thus far, “including some voices in the community that have maybe never been heard from before,” according to Eigbrett, who is community outreach director at Central Berkshire Habitat for Humanity. 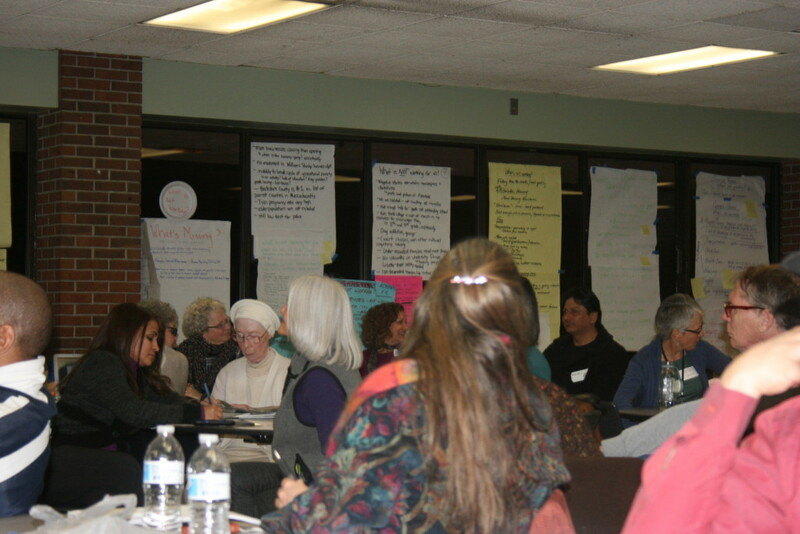 This includes significant participation from the local Latino community represented at these meetings, which have conducted bilingually. Education and school system issues, however, got the most mentions in a final round of comments Monday. In particular, social issues such as bullying, class dissonance and shortcomings in overall cultural competency predominated the discussion. “It feels like there is a culture of shaming that is allowed in the schools that’s disturbing,” offered Vicky Smith. “I don’t have children in the schools but it’s clear from the mass exodus we’re seeing that there’s a problem,” added Cecilia Rock. 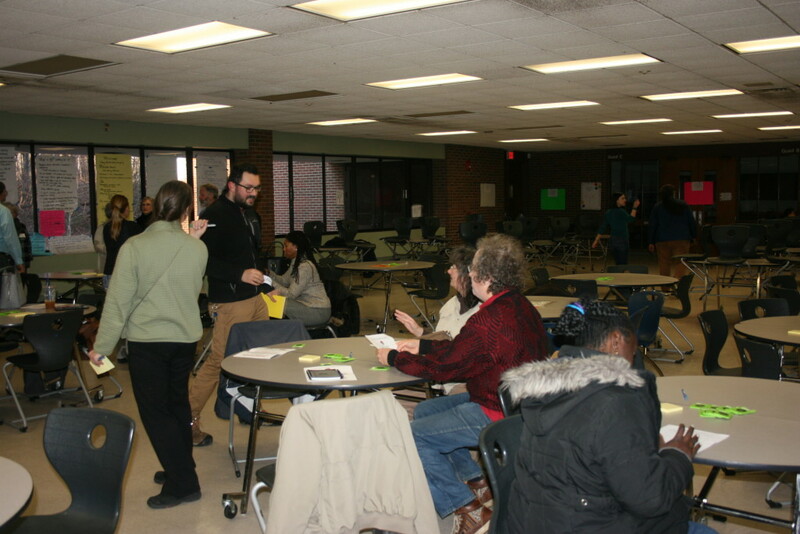 Dennis Powell took issue with the absence of any teachers or school administrators present at the summary meeting, though it was noted that a contingent of educators had attended one of the previous listening sessions. “We can talk about this all we want, but if the people that need to hear it aren’t there, nothing’s going to change,” said Powell. 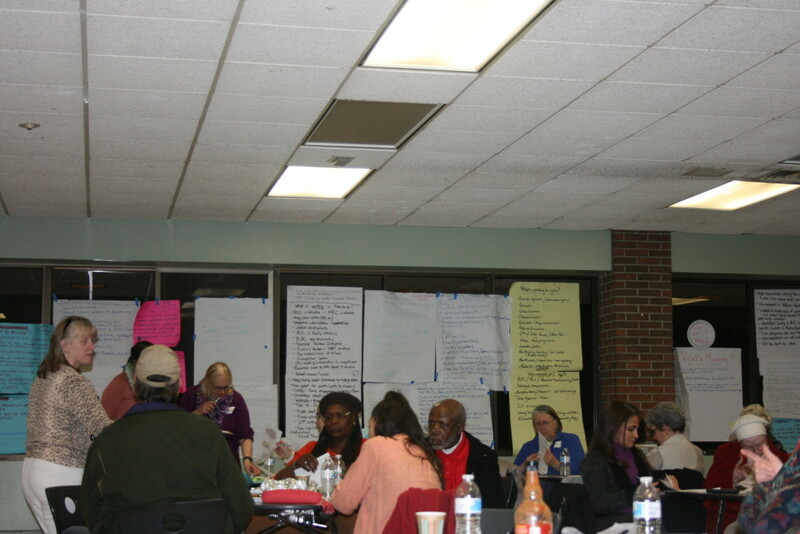 Commentary from previous meetings has already been tabulated into a preliminary report of findings, where a variety of concerns heard were broken down into fourteen general categories and a percentage assigned according to the frequency of mention. In response to queries about things currently “not working” in Pittsfield, public safety topped the list at 19 percent, followed by inclusion problems (15 percent) resource access and collaboration (14 percent), youth (opportunities, engagement, etc) (14 percent), economy (8 percent), transportation (7 percent), education (6 percent), government (5 percent), housing (5 percent), family (4 percent), environment (2 percent), food security (1 percent), arts & culture (1 percent). When it came to how to solve these issues, however, “Resource access, collaboration and communication” topped the list by far with 34 percent of comments hitting on this theme. 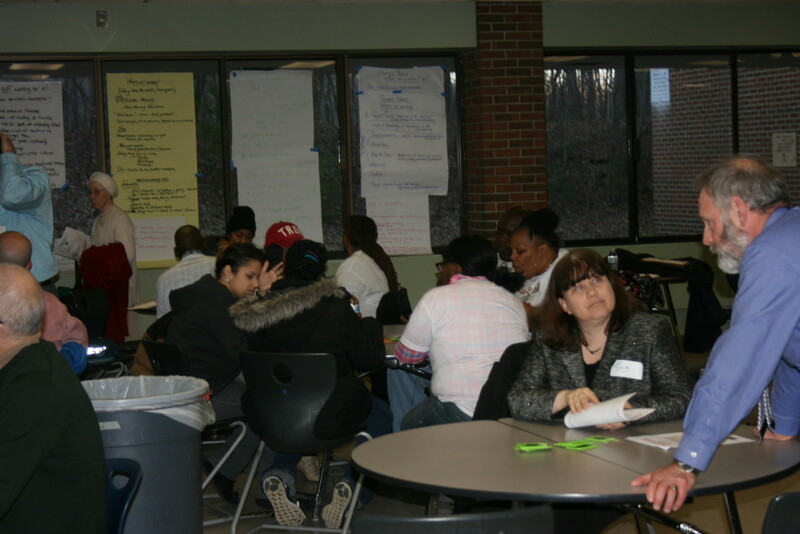 Many felt that even where resources and social services are available in the community, they are not well communicated to those who may need them. Members of the group spearheading the Working Cities effort, most of them employees of various local social service institutions, see healthy participation as being not only being key to securing grant funds, but to correctly using them to make change. “What I envision happening is, we get groups of people who are passionate about these issues together to implement the ideas emerging in this plan,” said Habitat for Humanity Executive Director Carolyn Valli. 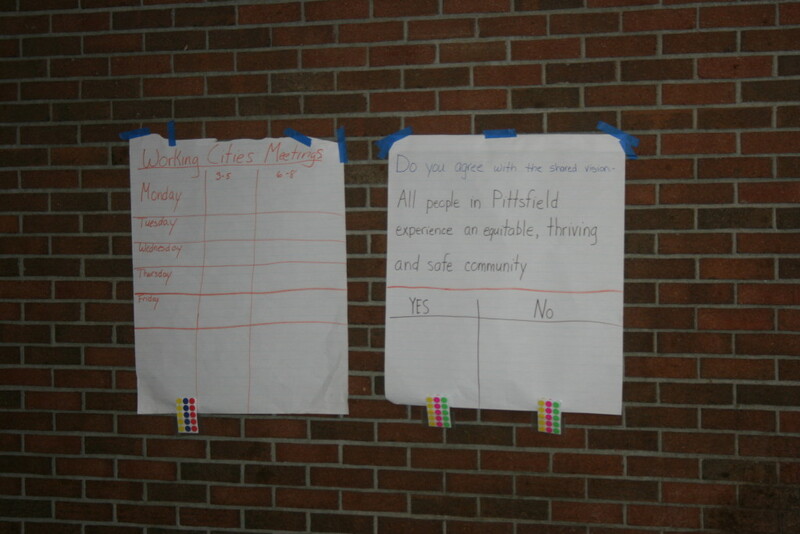 More information about the grant application and public input process can be found on the Working Cities Pittsfield webpage. 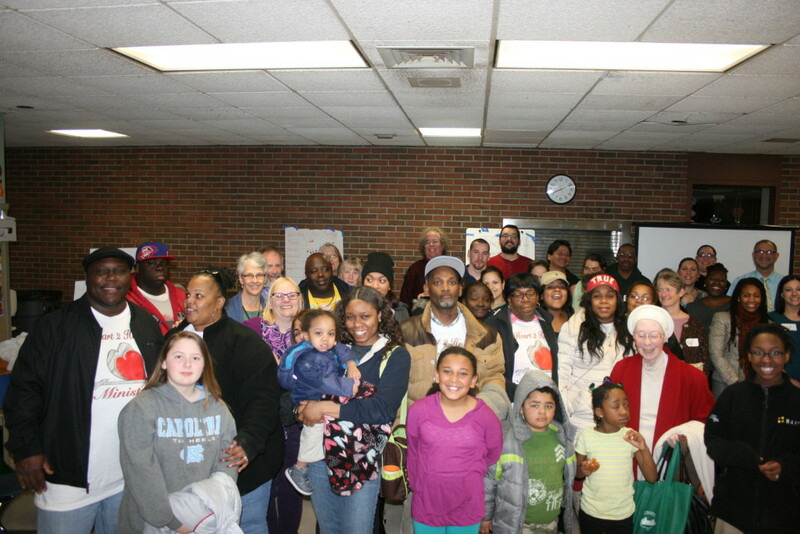 Many thanks to Joe Durwin for covering the Working Cities Pittsfield movement! 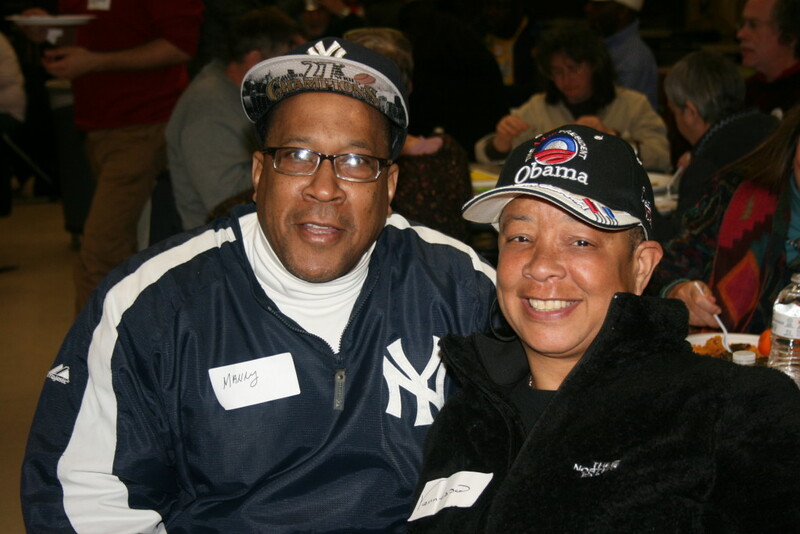 Please contact us to learn how you can join today. 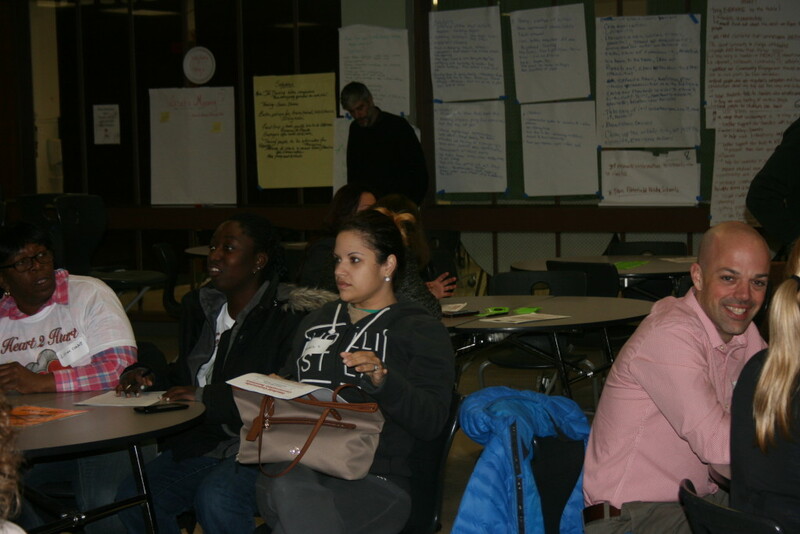 Over 60 people from our Pittsfield community of every background convened in the Conte Community School cafeteria on Monday, March 21 for our Feedback Community Conversation. Each of us believes that all people in Pittsfield should experience and equitable, safe and thriving community. 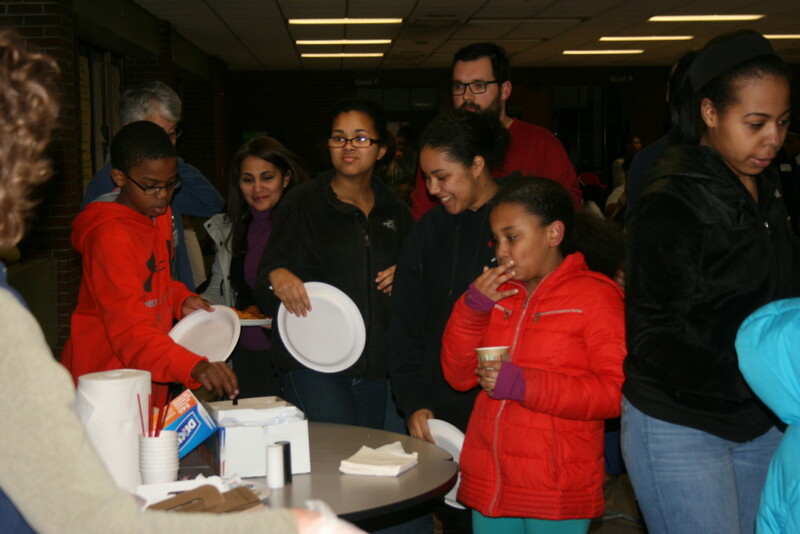 Our delicious dinner was sponsored by local businesses and organizations: fried chicken wings and collard greens from RayLyn’s Soul Food, rice and beans from Manos Unidas, pizza from Big Y, and coffee and donuts from Dunkin Donuts. Did we hear you right? What’s missing? Of these issues, what are the top 1 or 2 things that would make the most difference in your life? What are you willing to do to make change? 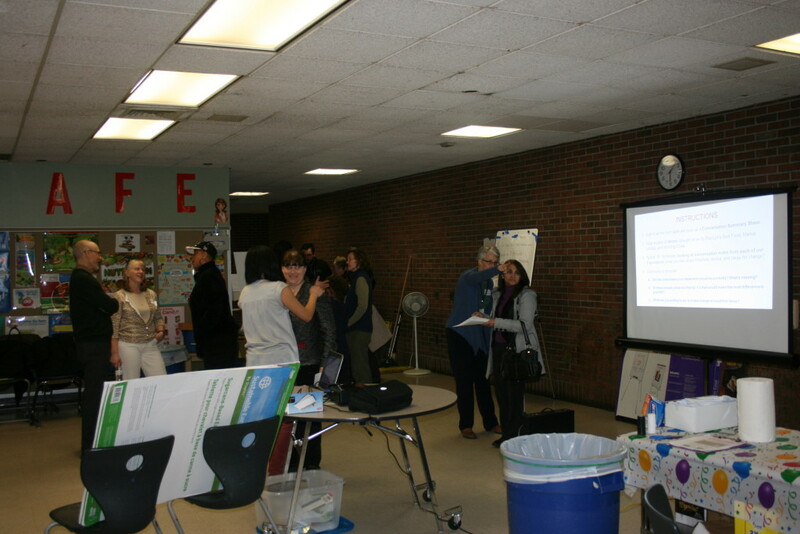 This was the first meeting we’ve hosted where the Spanish-English interpretation was live, thus allowing every voice from the community to be heard collectively. 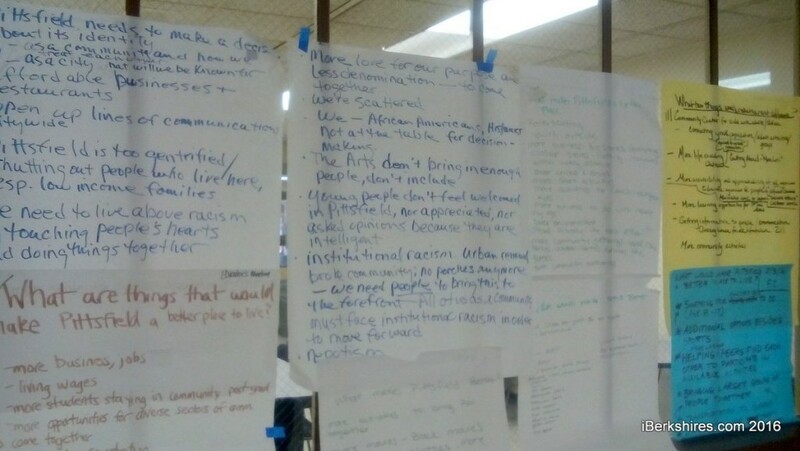 Many members gave their contact information and listed what issues they’ve most passionate about, and we plan on connecting these passionate minds soon to take action. 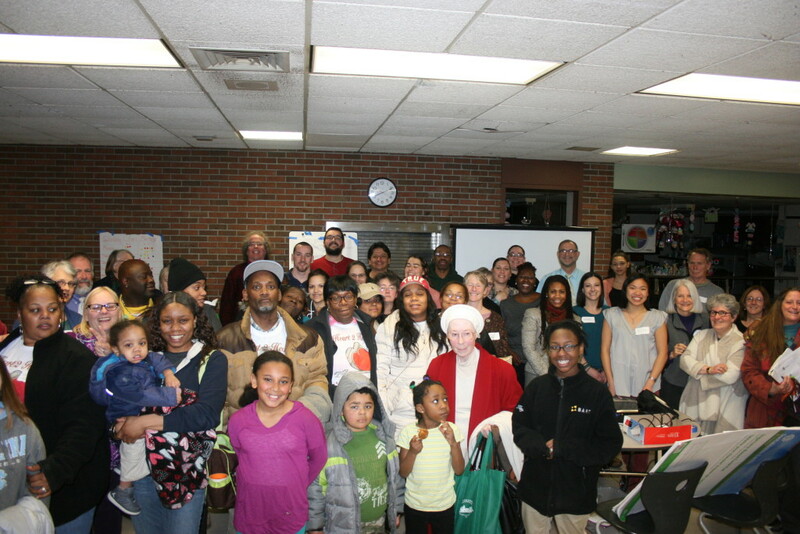 Many thanks to Melissa Rivera of Habitat for Humanity International for providing the photos below! 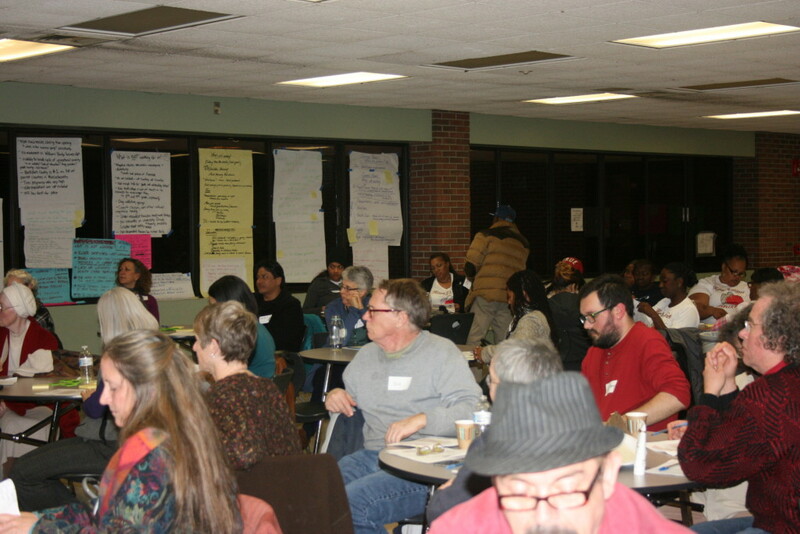 If you are interested in learning more about the Working Cities movement, please contact us to join!